The restaurant comprises two storeys, so it would be very spacious to cater a big crowd, so don't worry to get a table on weekends. 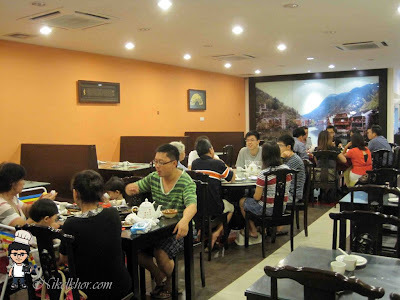 Some China and Hunan's elements are infused into the restaurant by placing a China "Shan Swee" (mountain and river) oil painting on the wall and the using of wooden dining tables and chairs. 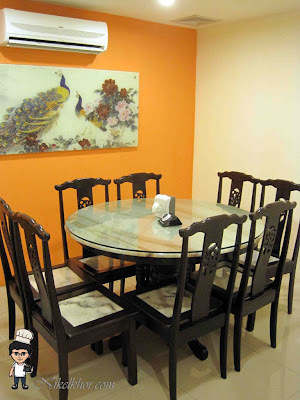 An overview of second floor, besides public dining areas, the restaurant also provides few private rooms for meetings or family gathering, so that diners can enjoy their meal comfortably and without interruption. This is one of the private room, with marble table and chairs, which provides extra elegant to it. Perfect for private hang out session. 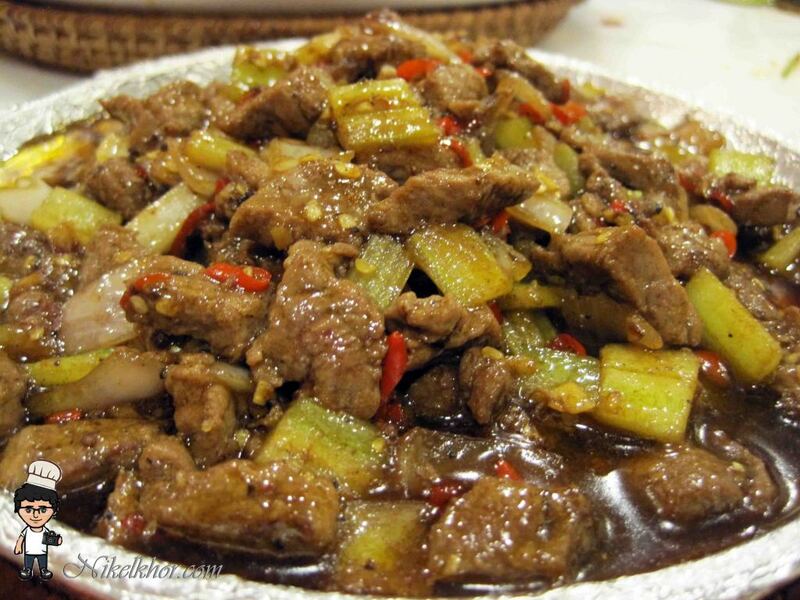 Talking back to the foods, De Hunan is the ultimate destination for diners seeking distinctive and different choices, the place where we treasure the fresh food and mouth-watering Hunan classics here. The chef is very strict in picking ingredients, most of the ingredients come from its origin in China. 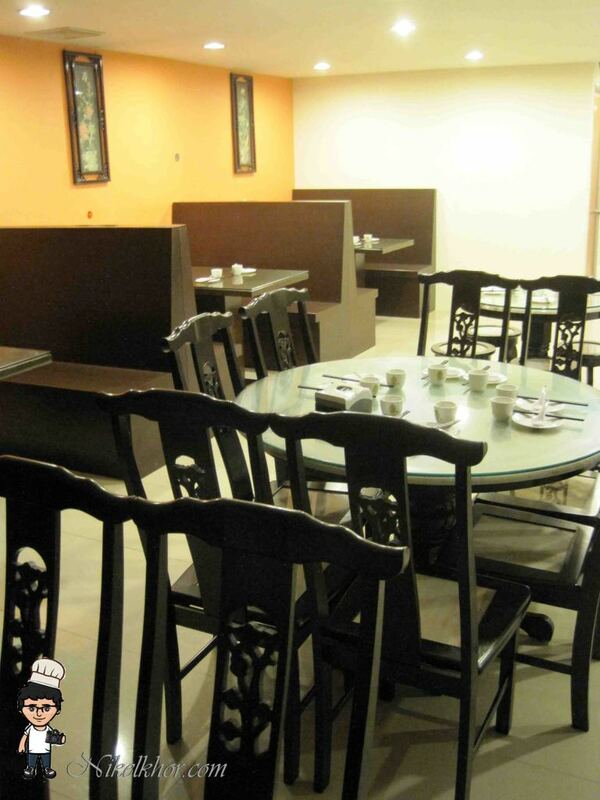 Staying true to traditions, only the finest and freshest ingredients are used to create Hunan's cuisine. The complimentary appetizers were served before the meal, includes beancurd skin, Japanese cucumbers, pig ears and seaweed. All the appetizers were served in cold, but the spiciness of it definitely warmed my stomach since the very beginning. 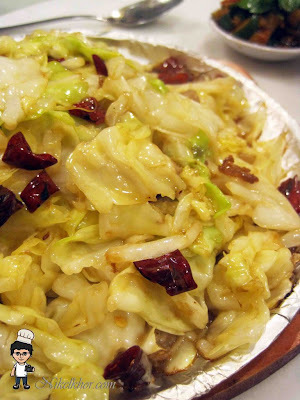 I specially like the marinated Japanese cucumber, spicy and sour, but indeed it was refreshing and crunchy to munch on. 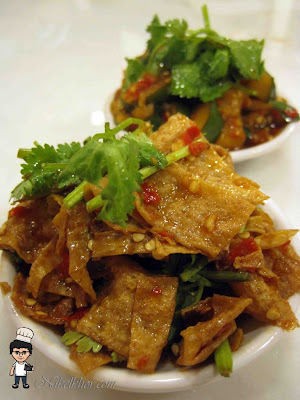 Sliced pig ears is a rare appetizer to me, but I was quite surprised to its crunchy texture, very porkilicious. Not a pork lover? 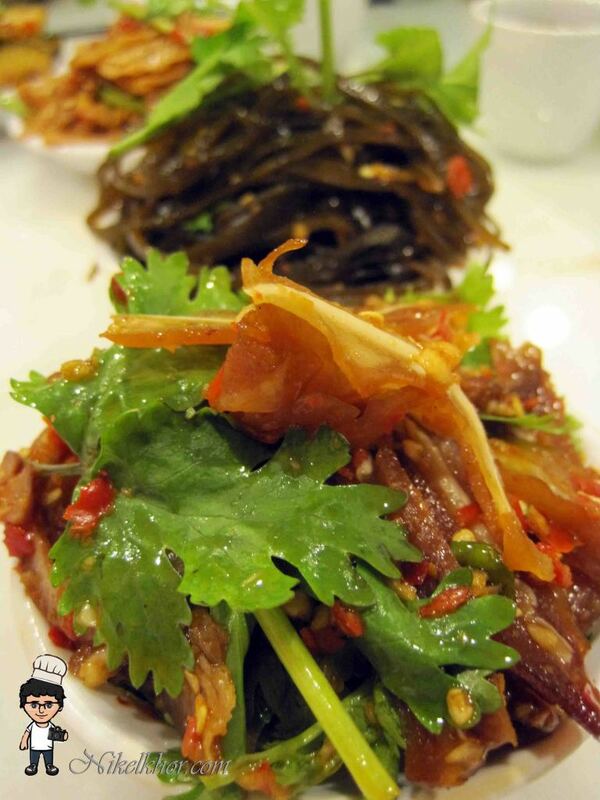 Feel free to try on their seaweed strips, fresh with the taste from the sea. 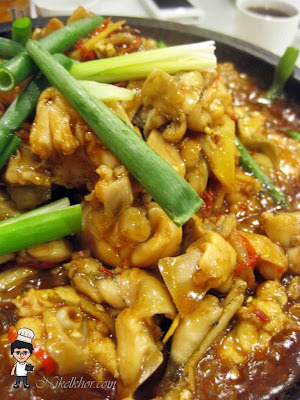 The hot spicy fresh frog was served piping hot, renders it looks more tempting with the boiling gravy on the sizzling stone. 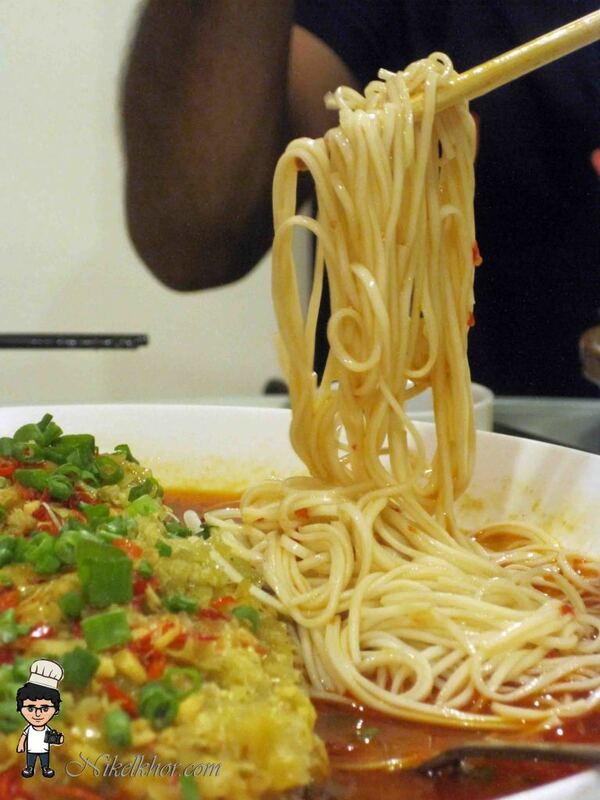 The chillies used are imported from China, so look out with its spiciness. The frog flesh is extremely tender and flavourful with the hot gravy clinging on it. The dish would not be perfect without a steamed white rice. The cabbage looks common, but it is very delicious with a hint of spiciness from the dried chillies. Very well cooked to retain its crunchiness of the vegetables. 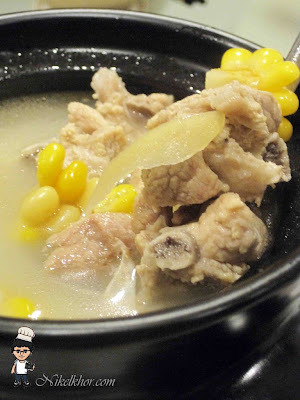 The Yuen Yang Style Fish Head is made by two distinct cooking methods, combines two flavours in a dish, sounds like very worth for the price. Only the freshest fish as well as natural ingredients like chilies, gingers, garlics and spring onion are used in perfect the dish. Therefore the fish is tasted good and smooth, suit to my liking as a fish lover. 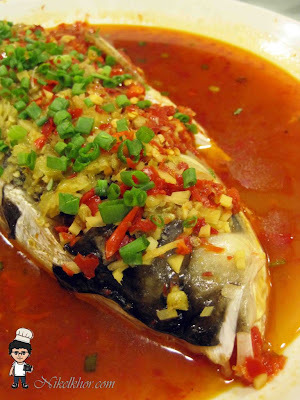 The fish head is also served with home made La Mian, to avoid wastage of every single drop of the spicy gravy. The gravy contains the essence of the fish, therefore immerse the noodles into it before eat to get the flavour from the sea. I was attracted by its appealing presentation at the first glance, opened up my flavours simply looking at it, cannot resist myself from savouring it, without bothering my-growing-bigger-stomach. The chef must be very skilful in making it, or perhaps the long hours braising makes the fat drips away while all the marinade flavour is sealed right in. The beef cubes are cooked just right, remains tender and juicy, without any sense of rubbery. The spicy flavour is simply tantalizing and goes well with my white rice. The deer meat is cooked well, makes it not gamey at all. Some portion of greens are added into the dish to balance up its nutrients. 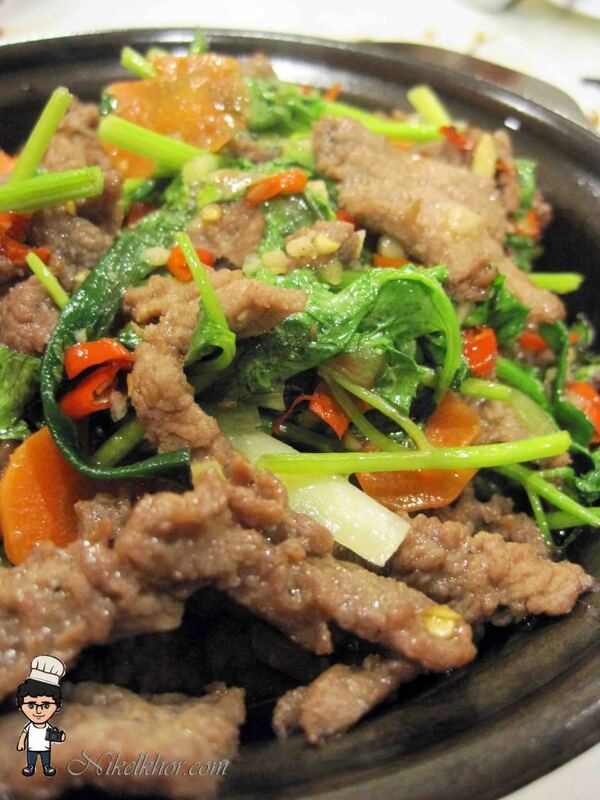 The spiciness is mild, compared to some of the others, the level of mine, keep the stomach warm without agitating it. A very homey cooking soup indeed, the long hours cooking renders it tastes sweet and flavourful, essence from spare ribs and corns. Good to keep my fussy stomach happy. 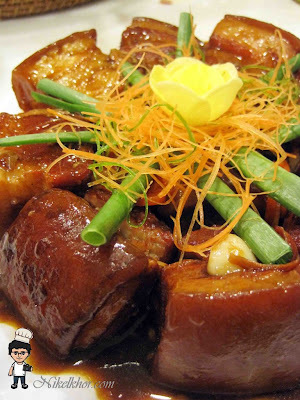 The combination of beancurd with green chives introduces my taste bud to a new Hunan's flavour. 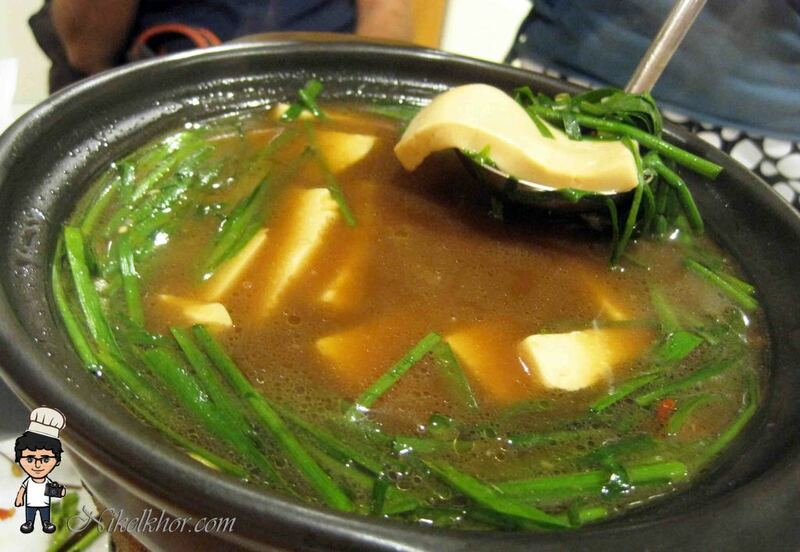 The beancurd is silky smooth, the soup with a hint of green chives is mixed and matched well with my rice. The prawn is first deep fried into golden brown and sauteed with Hunan Chilies sauce, to make sure that every prawns are clinging with the flavourful and tangy hot sauce. The chef made a cut on the back of the prawn to convenience the diners, so eating prawn with shell is no longer a tough job. 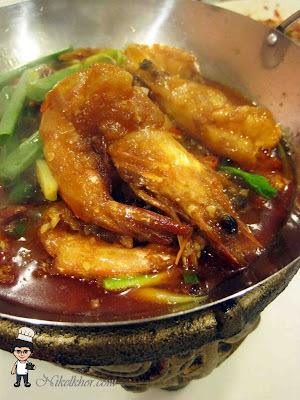 Another prawn delight to satisfy the taste bud of prawn lovers. Various spices are used to enhance the flavour of the the prawn and establish the identity of Hunan's delights. The prawn is skewered to grill until crispy, so that I could finish the prawn from its head to the end. 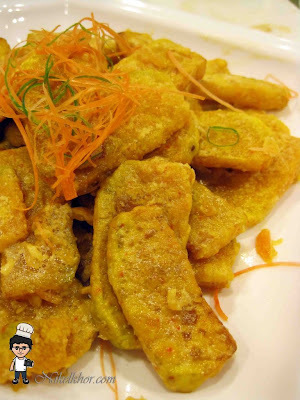 The pumpkin slices is clothed with salted egg yolk, deep fried into attractive golden brown. Surprisingly, the pumpkin is not too salty, I wonder how the chef remain the fragrance of the salted egg while eliminating the saltiness from it, must be a piece of art from an experienced chef I bet. 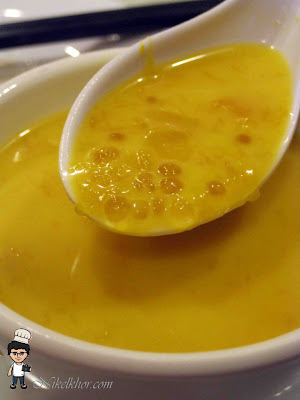 Beside those hot and spicy dishes, De Hunan also has an amazing array of both hot and cold, traditional and modern selection of desserts to satisfy the sweet tooth. One of the recommended dessert is the homemade potato pancake, the potato is mashed and deep-fried and condensed milk is served along. 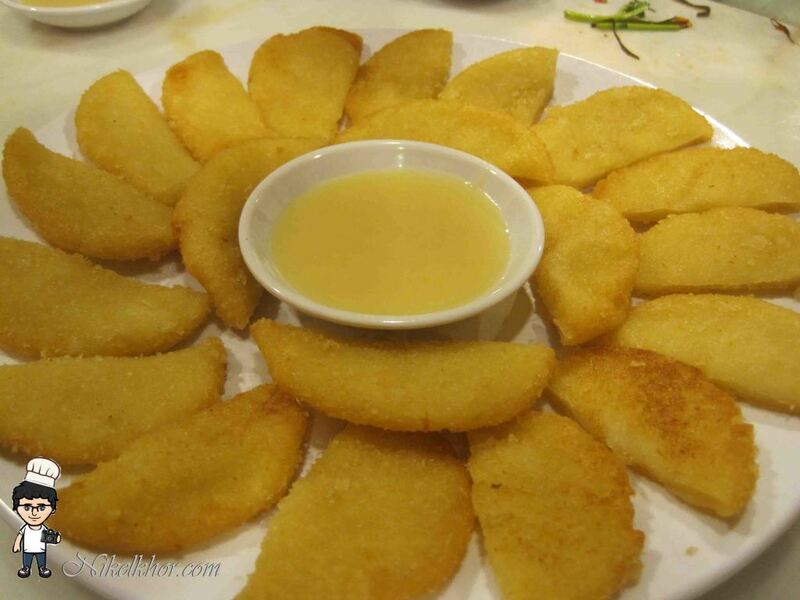 Crispy on the outside, yet soft and chewy on the inside, it's perfect snack with condensed-milk-dipped. The condensed milk is served separately and optional, so that diner can adjust the sweetness to their liking. 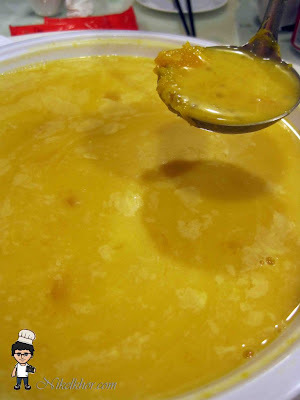 Pumpkin and sago dessert is another healthy dessert. I like the natural yellow colour derived from the pumpkin itself. The soup itself is very smooth and fine in texture, the pumpkin puree and sago simply make it more interesting. I should admit that I left De Hunan with a bellyful of contentment, I truly enjoy the authenticity and genuine flavour all the way from Hunan, because De Hunan dishes up great tasting meals in quite generous portion as a mark of quality and value. 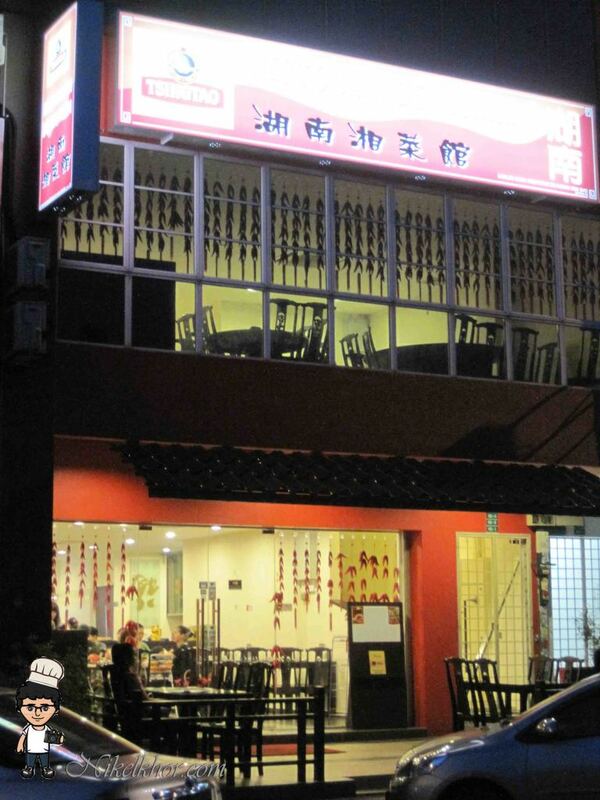 I was definitely pampered with ample choices of mouth-watering Hunan cuisine on that night. No. 42, Jalan Puteri 2/4, Bandar Puteri. @kkf May u go try it..
@ken glad you will like it! @Xueren Fast fast go with ur family..
the fish!!! LOL I want! @niccchang The fish damn spicy one! @henry Ya.. spicy one. But you can order according to your spicyness. 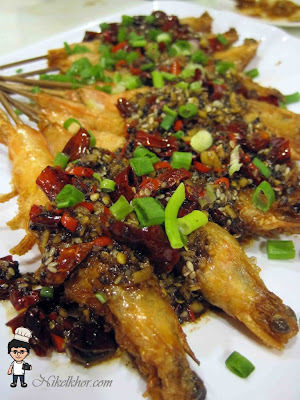 What is the 2 flavors of "Yuen & Yang" Style Fish Head ? @smallkucing emm.. not that pricy!! ok, def going on my to try list now! Food looks good! 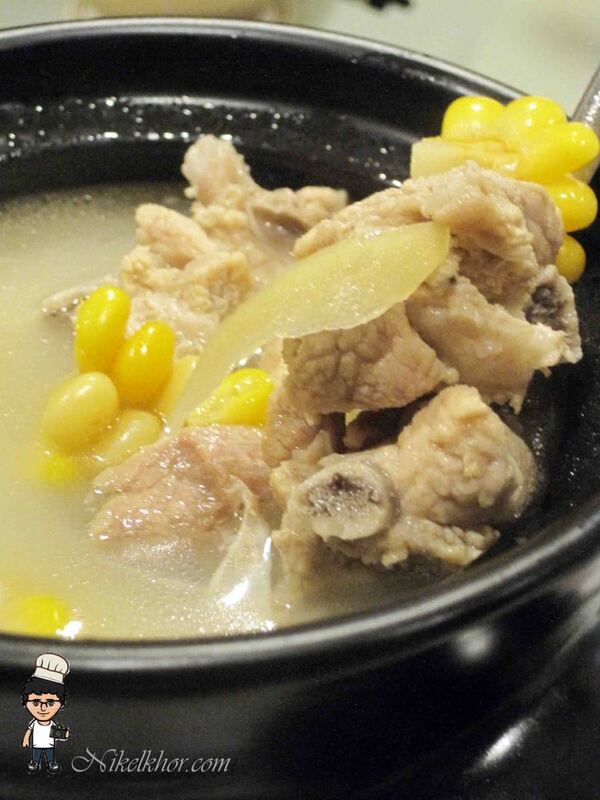 @yukiko Glad you like spicy food..
@lolly the corn soup is yummy and clear!